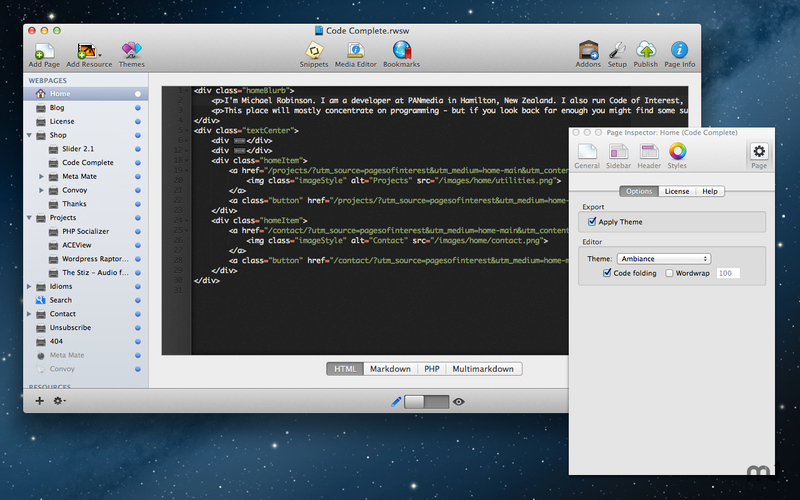 RapidWeaver plugin; advanced text editor for RapidWeaver. Is there a better alternative to Code Complete Plugin? Is Code Complete Plugin really the best app in HTML category? Will Code Complete Plugin work good on macOS 10.13.4? 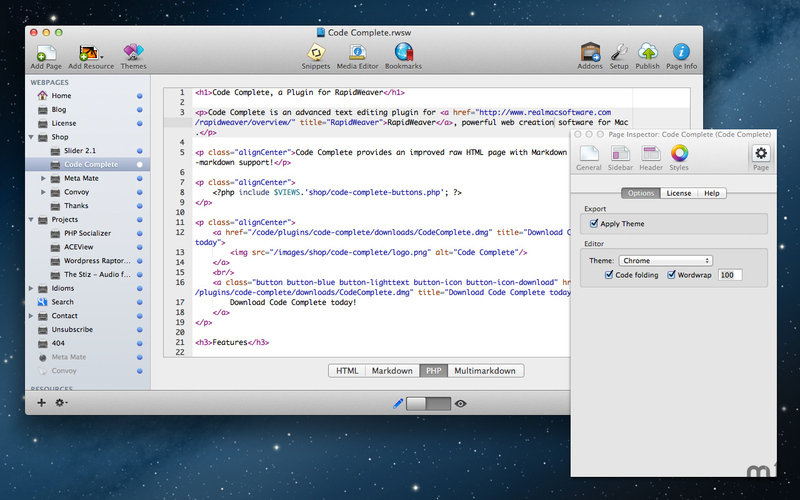 Code Complete Plugin is an advanced text editing plugin for RapidWeaver, powerful web creation software for Mac. Code Complete provides an improved raw HTML page with Markdown & Multi-markdown support! Better syntax highlighting, with support for HTML, PHP and Markdown! 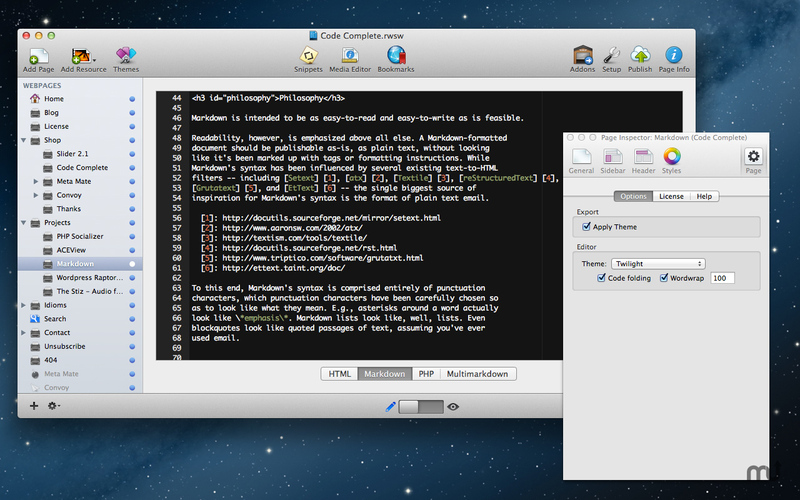 Full Markdown & Multimarkdown support - speed up and simplify your coding! Code Complete Plugin needs a review. Be the first to review this app and get the discussion started! Code Complete Plugin needs a rating. Be the first to rate this app and get the discussion started!